Our historic barns and corncribs feature colorful quilt blocks with ties to rural life. 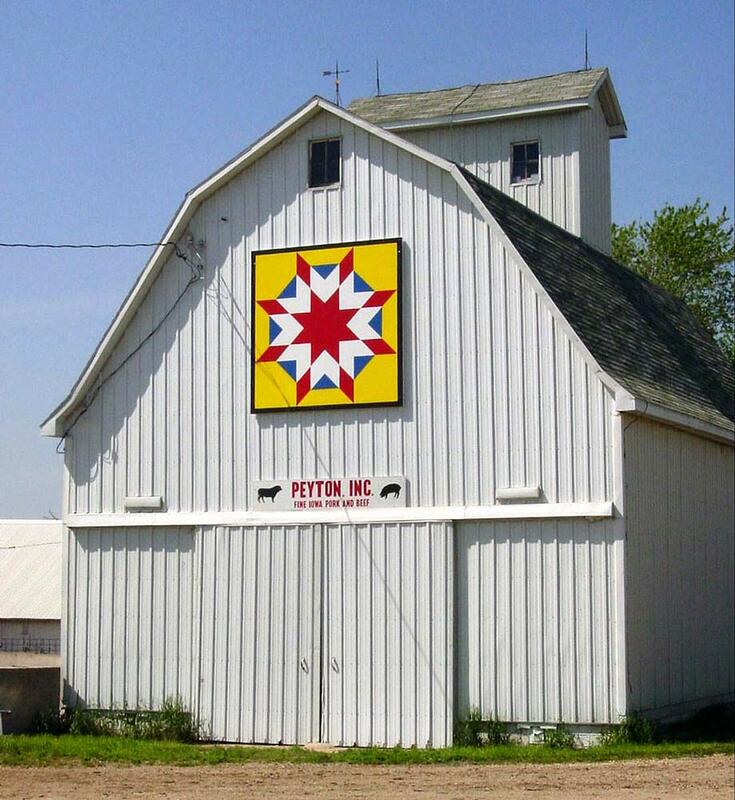 You'll enjoy our barn quilt tour and find many other interesting attractions along the way. Please join us for a virtual tour around Sac County, Iowa, as you view our quilted barns. You'll also find photos of smaller quilt blocks that have been painted and placed throughout the communities in our county: on museums, libraries, in parks, community buildings and fair grounds. If you're interested in how barn quilts are made and installed, look for photos about the process. The barn quilts inspired a Sac County Quilt-A-Fair, a biennial quilt show. Selected photos from the most recent show are available to conclude your tour. 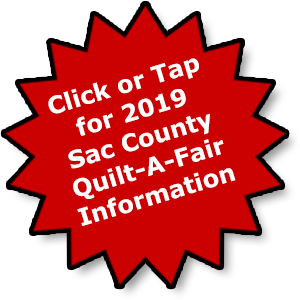 If you want to read a brief history of our Sac County barn quilt project, take a look at the page "About Barn Quilts". The "FAQ" page is designed to answer your questions more thoroughly. And if you'd like to order a copy of our beautiful, full-color book, or note cards designed by a local artist, please check the "Available from Barn Quilts" page. While our photographs are beautiful, we'd love to have you visit us in person. Thanks for visiting us on this site, and we hope you'll journey to Sac County to see our barn quilts and so much more.